At Advanced PT and Sports Rehab Strangers become Friends and Friends become Family. We Understand Why People Come to Physical Therapy. People are used to being busy and active. Due to pain, injury or illness, they are missing out on what they want to do. Our “A” Team at Advanced PT helps them return to their activities. We validate their concerns, value their trust, calm their fears, give them consistent, State of the Art care and celebrate their success. We Are Advanced PT with a Heart! 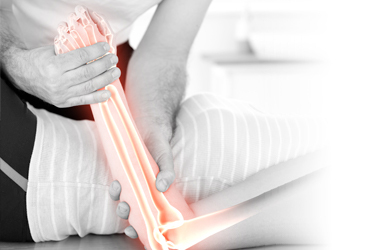 Treating Orthopedic Conditions From Head To Toe! I have had the “opportunity” to use the services of Advanced Physical Therapy on at least seven different occasions. Every time, whether on the phone, at the front desk or during treatments, I have been met with pleasant, knowledgeable, and skilled people who will spend as much time with you as you need. You feel at ease quickly because you can tell they truly care for your recovery and they will help you get there to the best of their ability. 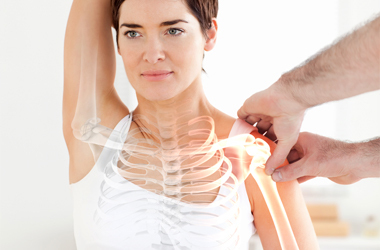 After a thorough evaluation at Advanced, it was determined that although some of my pain was from the surgery, most of my issues were caused by my body being out of alignment. 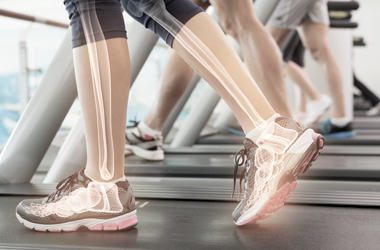 Because of the seven foot surgeries I’ve had over many years, and the pain associated with each of those, it had changed my gait and shifted my alignment. With various stretching exercises, massage, ultrasound treatments and sessions with a myofascial release person on their staff, I have improved each week. The surgery pain is completely gone, and we’re making progress on the gait and alignment. Donna and her staff are knowledgeable, compassionate, and thorough in their care. Scheduling sessions is easy and appointments are always on time. I would recommend Advanced to anyone considering physical therapy. I can’t say enough about how i appreciate and adore the treatment I receive from APT – each and every employee – from the moment you walk into the door to the moment you leave – is professional, well educated, kind, caring, compassionate and concerned – about the treatment and recovery of their patients – i would highly recommend and strongly encourage anyone to look into treatment at Advanced Physical Therapy!!!! 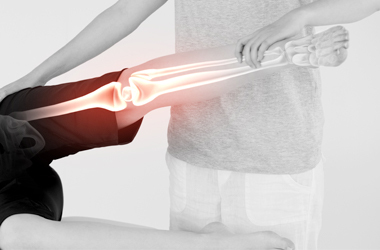 I have been a physical therapy patient of Advanced Physical Therapy intermittently since 2011. Donna Newman and her staff of physical therapists have always gone the extra mile to tend to their patients. Recently, having had some back issues that I thought could be corrected through a chiropractor, I contacted Advance Physical Therapy as no progress was being made with my condition. Donna and her staff took immediate action through a series of exercises and soft tissue massages to correct Sacro-Iliac rotation. Right away I was able to get back to normal activities without fear of hurting my back. In addition as an example of the care Donna demonstrates for her patients, she even took the time to call and check on my welfare while she was enjoying vacation time in Hawaii. As I previously mentioned…..going the extra mile for her patients. I have been going to PT for 7 weeks. I had a total knee replacement on January 15, 2018. My Doctor is thrilled with my results as well as I am. From the first visit with Advanced Physical Therapy, I knew this would be a positive experience. I have been in PT many times in my life where I would leave the first day dreading to go back for many reasons! However, coming here I immediately knew something was truly different. I could see everyone working with other patients and was able to see trust in their eyes and experience with each Therapist ! Personally, it meant so much to me to have the same Therapist working with me every time I am there! He would push me to keep going and assure me that each instruction would not hurt me but strengthen the specific area. Mike would make sure to explain the movements and what each one would do for me. I could write on an on but feel this is what most patient’s want from PT. I recommend Advanced Physical Therapy completely! After my partial knee replacement surgery, I requested a physical therapy clinic close to home for convenience and was, subsequently referred to Advanced Physical Therapy and Sports Rehab. I hit the jackpot! All of the APT personnel are not only extremely professional, but also truly care about the progress and well-being of their patients. Their knowledge and expertise facilitated my physical rehabilitation beyond my expectations; so much so, that I recommended them to my orthopedic surgeon for his future patients! I am tremendously grateful for all of the APT staff and feel blessed for the opportunity to improve my health with their help. I had complete replacements on my right and left shoulders within 5 months of each other. Although my doctor indicated they would not respond the same post surgery, it wasn’t apparent until after I’m now almost finished with PT. Donna and Kolton carefully tailored my therapy to address the differences in each one rather than take a nondescript approach. My shoulder replacements have been a success and I thank my talented doctors and Advanced Physical Therapy for bringing me back to health I did not think wouldbe possible. I had my first knee replacement in June 2017 and had the second one completed in January 2018. Both times I have used Advanced Physical Therapy (recommended by my doctor) to assist with my rehab. Advanced Physical Therapy (APT) directed my therapy by providing the exercises needed so that I would get the best results. Thanks to APT and their very knowledgeable and friendly physical therapists, my knees are improving with good flexibility and decreasing pain every day. The therapists also provide the mental support (very important) you need as you work through your disability. I would highly recommend Advanced Physical Therapy! Copyright @ Advanced Physical Therapy and Sports Rehab 2018.